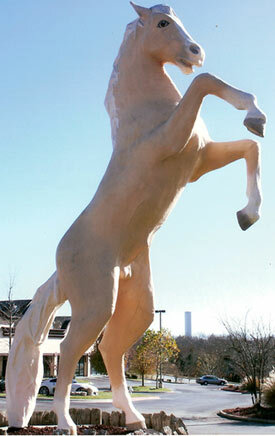 Trigger statue outside Roy Rogers Museum in Branson Missouri. 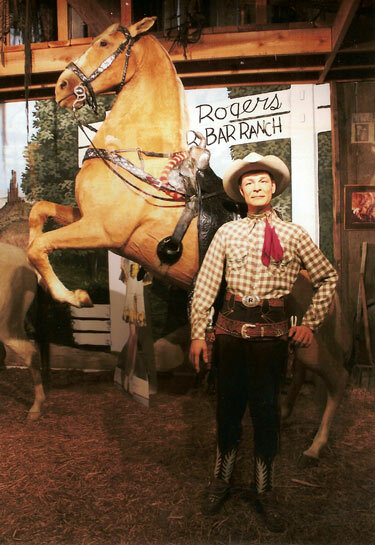 Roy Rogers with Ralph Edwards on “This is Your Life” in 1952. 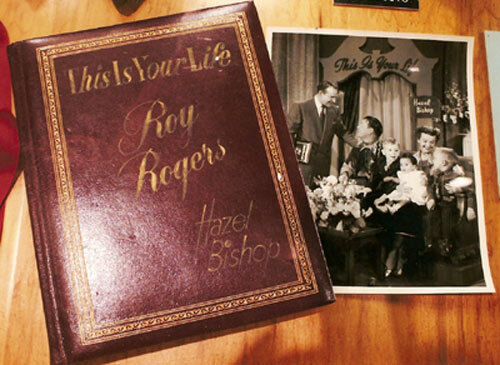 The “This is Your Life” Roy Rogers memory book. 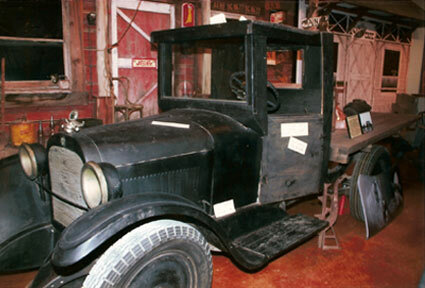 The 1923 Dodge that brought Roy and his family to California in 1929. 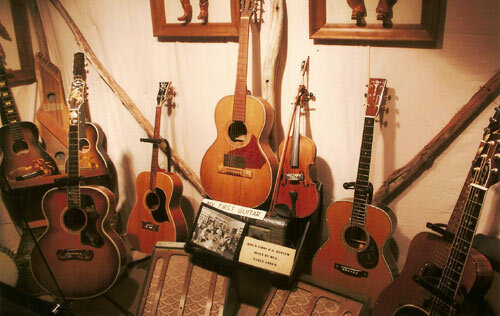 Just a few of Roy’s many guitars. 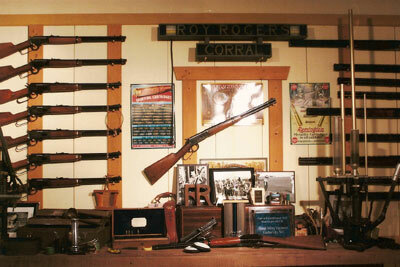 A section of Roy’s gun collection. 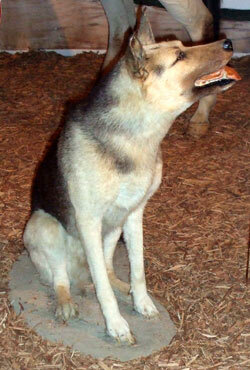 Roy was definitely a hunter. 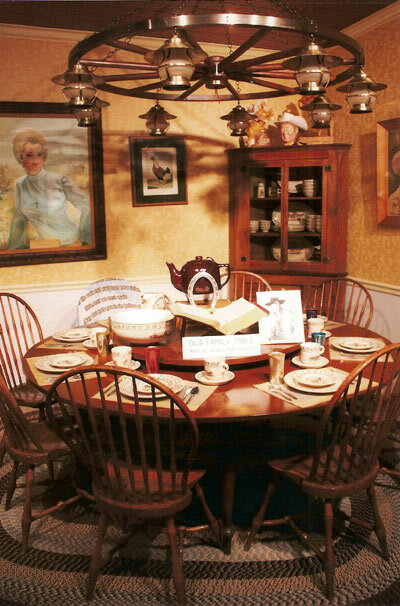 Cowboy star George Montgomery made this family dining table for Roy and Dale. 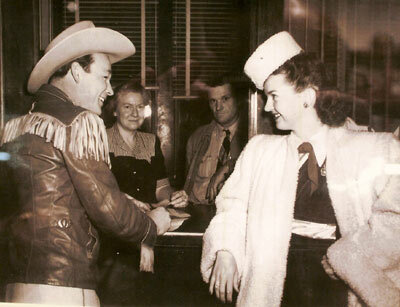 Roy and Dale applying for their marriage license in Oklahoma in 1947. 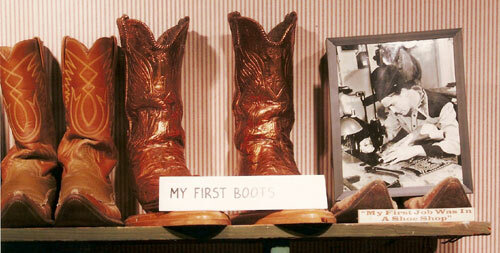 They were married New Year’s Eve. 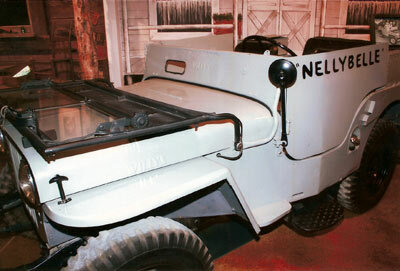 Pat Brady’s “Nellybelle” Jeep from the “Roy Rogers” TV show. 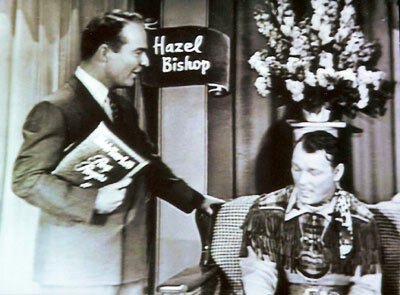 Trigger was 33 when he died in 1965. 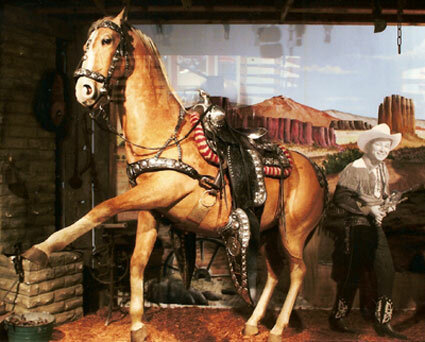 Roy had him mounted for the museum. 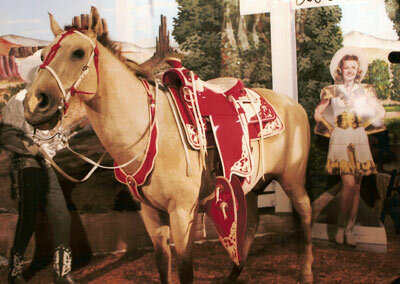 Dale Evans' Buttermilk was also mounted. 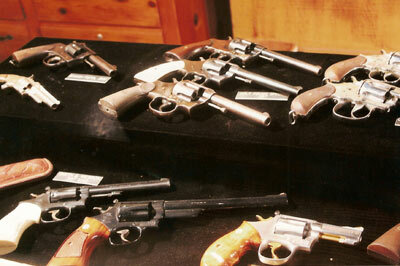 Trigger Jr. mounted at the museum. 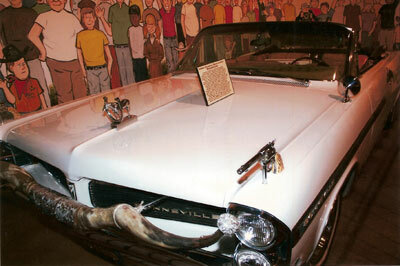 The 1963 Pontiac Bonneville in which Roy and Dale rode in many parades. 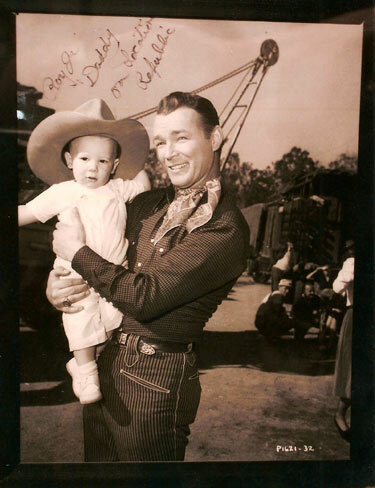 Roy with his son, Roy Rogers Jr. (Dusty) on the backlot at Republic. 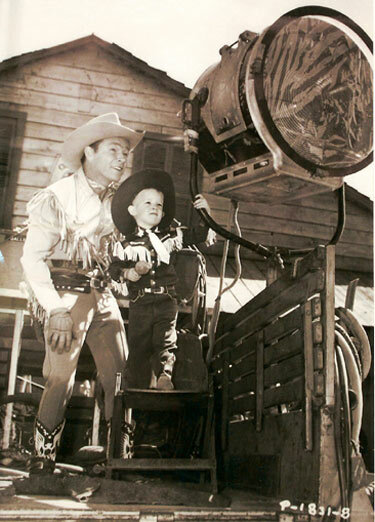 Roy and a little older Dusty on the backlot at Republic again. 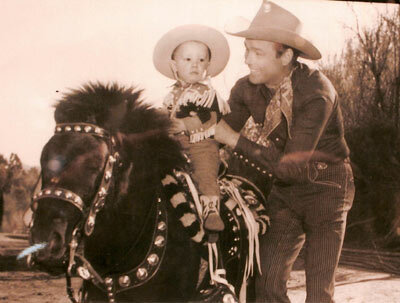 Roy seats Dusty on his first pony. 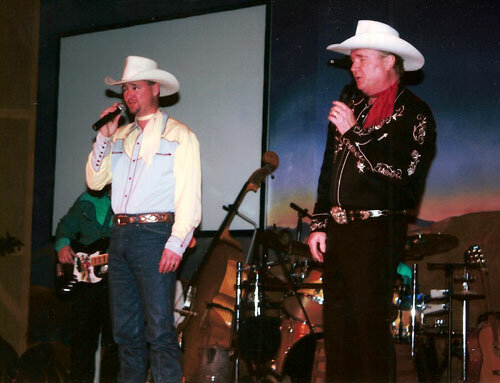 Dusty Rogers (R) and his son Dustin performing at the Happy Trails Theatre in the Roy Rogers Museum in early December 2009.